Dubai’s DMCC, the biggest free zone in the world in terms of concentration of businesses, is running out of space to house companies. It has added eight members each working day in the first nine months of this year to its list and, at this pace, the move to expand the commodities hub in the emirate shouldn’t come as a surprise. DMCC – a centre for trading everything from tea and diamonds to derivatives – and the master developer of the Jumeirah Lakes Towers free zone (JLT), is pressing ahead with the development of Uptown Dubai, a 10 million square feet mixed-use project that will be anchored by two super tall towers. Ahmed Bin Sulayem, the executive chairman of the free zone, declined to reveal the overall cost of the project, but a multi-billion US dollar ticket for the development of that size, scope and ambition will be a good guess. As a master developer, Mr bin Sulayem, however, is not worried about either the cost of the development or the recent headwinds and oversupply that have hit the emirate’s property market in the past few quarters. 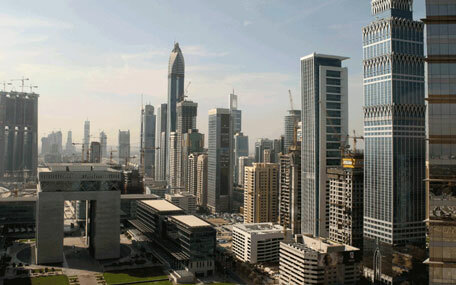 At least 4.4 million square feet of office stock is forecast to come up for lease in Dubai between now and the end of 2019, according toproperty consultancy Core Savills. In addition, swaths of office space – at least a few hundred thousand square feet – are projected to become available because of corporate consolidation activity and company relocations, according to the consultancy. The consultancy, in its third-quarter office market update for Dubai, estimates that 2.2 million square feet of office stock is projected to be completed in 2018 and 1.89 million sq ft in 2019, following a robust delivery pipeline this year. “When we sold Almas Tower [in JLT] we were only 400 members. We are not worried because we are reaching 14,000 [members] and we are seeing there is momentum going forward,” said Mr bin Sulayem in an interview with The National. In terms of finances, he has options to tap debt markets, take on strategic partners who are willing to invest and the build the project with DMCC, or finance the entire development from the free zone’s own balance sheet.